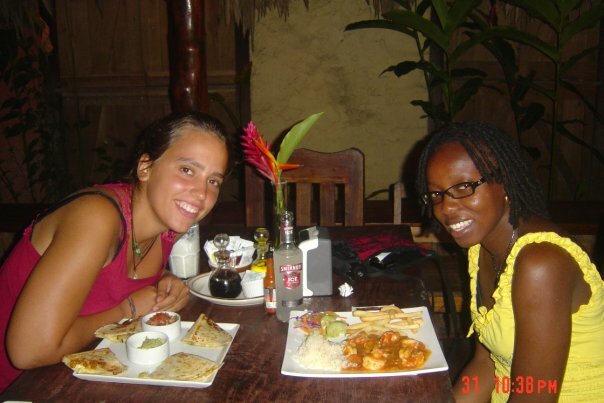 I was sad about leaving Colombia, in my heart I considered myself a ‘paisa’ (a paisa is someone from the Antioquia state of Colombia) but at the same time, I was excited about exploring Central America especially Nicaragua and Mexico………. I had the worst experience ever at the Colombian airport, my bags were searched – I mean they took out everything from the bag and even broke open one of my tampons, I do not know what they were looking for ……I was almost crying, anyways that is the past. Finally I was in Panama, I stayed in a hostel that is extremely hyped -Lunas Castle, for me it was just a big hostel with too many people and unclean. I met a girl from Texas on my very first day and together with other peeps from Israel , we explored Panama City. The most impressive sight is the canal – I have never seen such innovation before, we got to see a cruise ship going through the canal – I can not describe it so I’ll upload a video. After 6 days in the Panama City, I was ready to see Bocas del Toro (the Caribbean side). One thing I liked about Panama City was the food – the city has great food (better than in Colombia) for cheap and a lot of shopping mall selling cheap stuffs – so I got a 2 purses, a scandal, 2 flip-flops, a short and 10 pairs of underwear for only $10 USD – imagine, you can not get that deal anywhere else………. Bocas is cool & better than Cartagena (Colombia) in my opinion and have a lot of beautiful beaches……..my favorite so far is the wizard beach, then the playa estrella which has a lot of star fish, red frog beach is great also but you have to pay $3 to get in. The party here is great because every night there is ladies night somewhere so I do not have to pay for drinks -Que Bacano! The hostel I’m staying in – Hostel Heike- is cool, you meet wonderful people and the roof-top area is amazing, however the hostel is not very clean and you cannot get much sleep here either…..Christmas was very interesting, we spent the day at the beach, then went to dinner and party later on. So far there are a lot of people from Israel, Germany and Switzerland traveling this part of the world and you just have to love the SWISS. 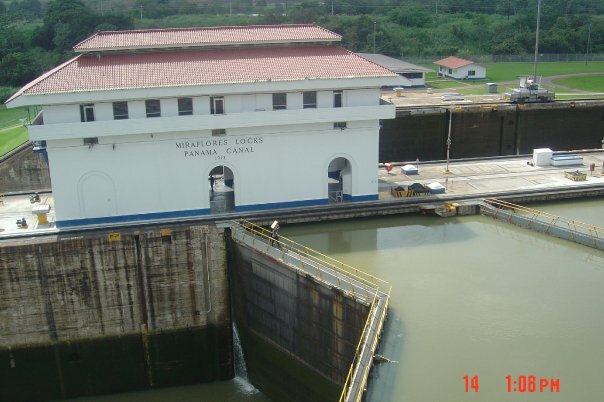 I crossed my first land border on the 28th, it was hassle-free – I was sort of disappointed when we got into Puerto Viejo de Talamanca (Costa Rica), and more frustrated when we couldn’t find a hostel or hotel because they are all fully booked to January 3. Well, we finally found a room in hotel puerto viejo, its not the best but we don’t have a choice. Now I understand why people say Costa Rica is very expensive. I wish I was still in Bocas del Toro……..
Well Happy New Year to all of you and thank you for reading my travel blog since I started writing it in August……………. Posted on December 29, 2009, in Costa Rica, Panama and tagged Bocas del Toro, Border crossing, Costa Rica, lunas castle, Panama, panama canal, playa estrella, Puerto Viejo, wizard beach. Bookmark the permalink. Leave a comment.